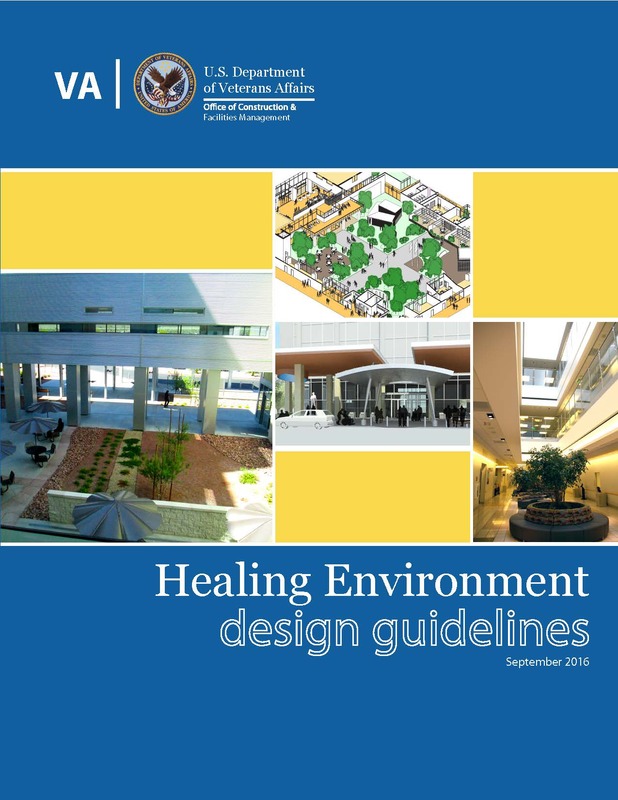 Alt Architecture + Research Associates LLC, was the prime consultant to the Department of Veteran Affairs to create the VA Healing Environment Design Guideline (VAHEDG). We formed a team of four sub-consultants and 39 subject matter experts consisting Veterans, medical providers, behavioral health providers, researchers, engineers, and medical planners. 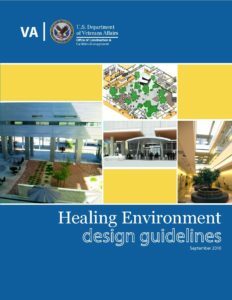 This unprecedented design guideline was created to reinforce the VA’s Mission of healing the mind, body and spirit of Veterans and their Families. The VAHEDG’s scope includes common areas, outpatient clinics, and inpatient clinics for 168 VA medical centers and 1050 outpatient clinics (1050) outpatient clinics (CBOCS), the largest medical system in the United States. A Healing Environment is a setting and organizational culture that has carefully coordinated architectural features designed and maintained to facilitate and support the healing process. Healing is a comprehensive effort that requires every available resource of body, mind, and spirit. A successful Healing Ecosystem, the systematic integration of many Healing Environments, is promoted through the combination of the following critical elements: Interdependence, Sustainability, Sensitivity to Natural Cycles, Partnerships, and Diversity. The Design Principles include: Provide a therapeutic environment, Create a patient embracing environment, Provide direct connections to nature, Design spaces and structures to reflect region and community, Be patient-centered, Provide a safe and supportive work environment for staff, Utilize state-of-the-art technologies to enhance the user experience.